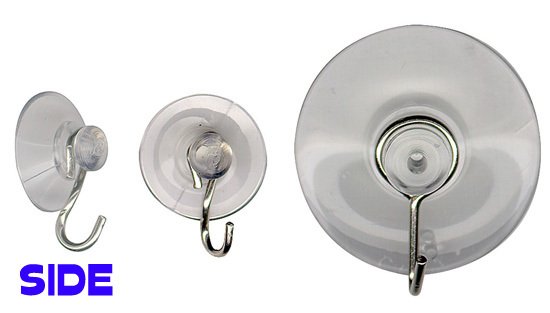 Suction Cup Hooks & Hangers stick to any clean, smooth, non-porous surface. Can easily be removed whenever you like without leaving any residue. Suction Cup Hook / Hanger 7/8" Dia. Suction Cup Hook / Hanger 1-3/4" Dia.